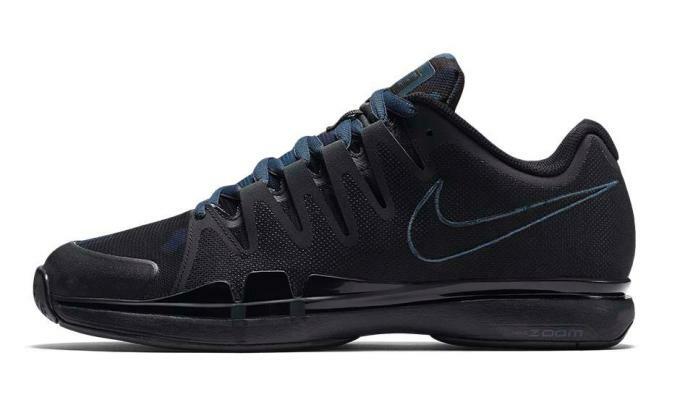 Aside from 2014&apos;s Zoom Vapor AJ3 releases, there haven&apos;t been very many special edition releases of Roger Federer&apos;s signature sneaker lately, but the drought is about to end thanks to a new drop from NikeCourt. 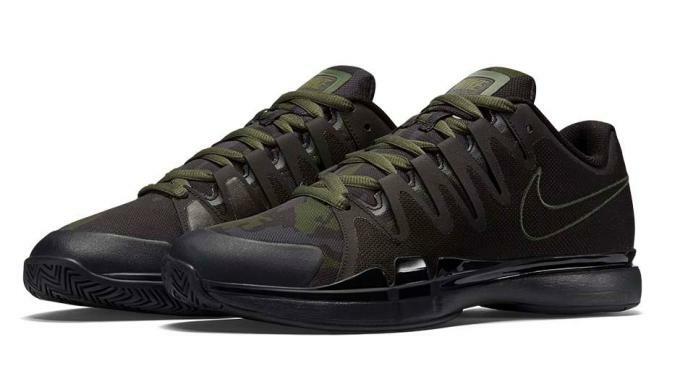 Officially known as the NikeCourt Zoom Vapor 9.5 Tour Safari, these new colorways add a subtle yet striking camo print that extends from the toebox through the tongue. 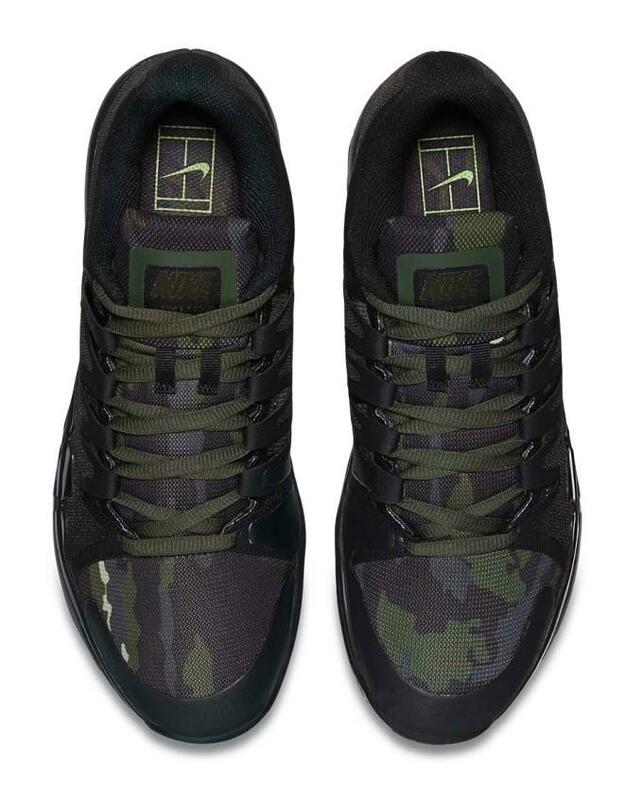 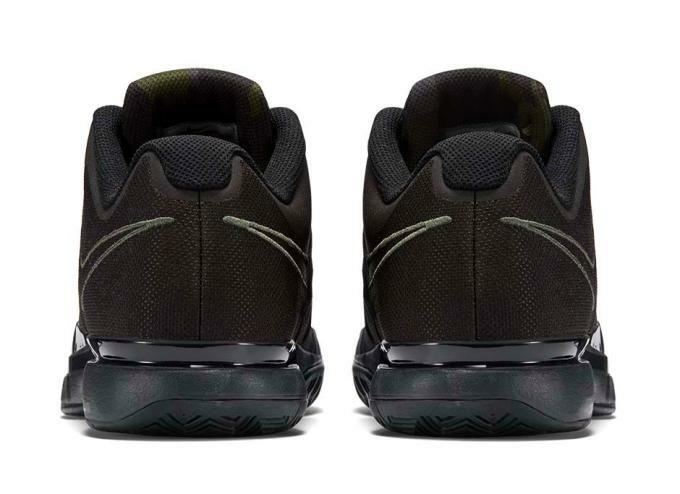 Both sneakers are black-based, with "Carbon Green" and "Squadron Blue" patterns on the underlay. 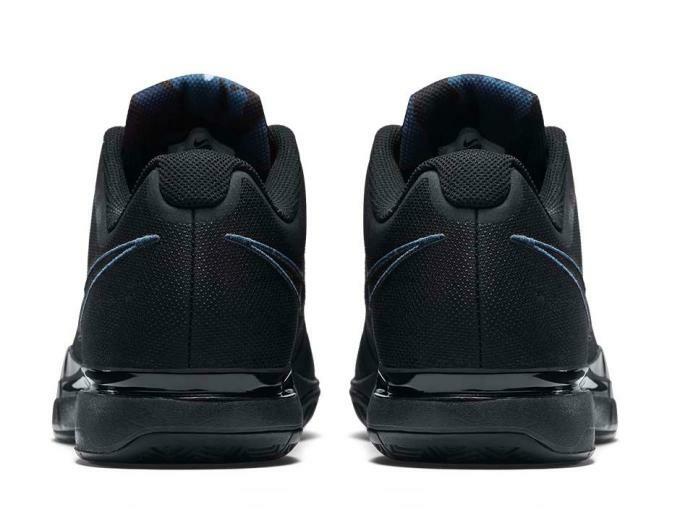 While these can certainly get the job done on a variety of court surfaces, Nike says they were introduced to "help you get through the off-season in style." 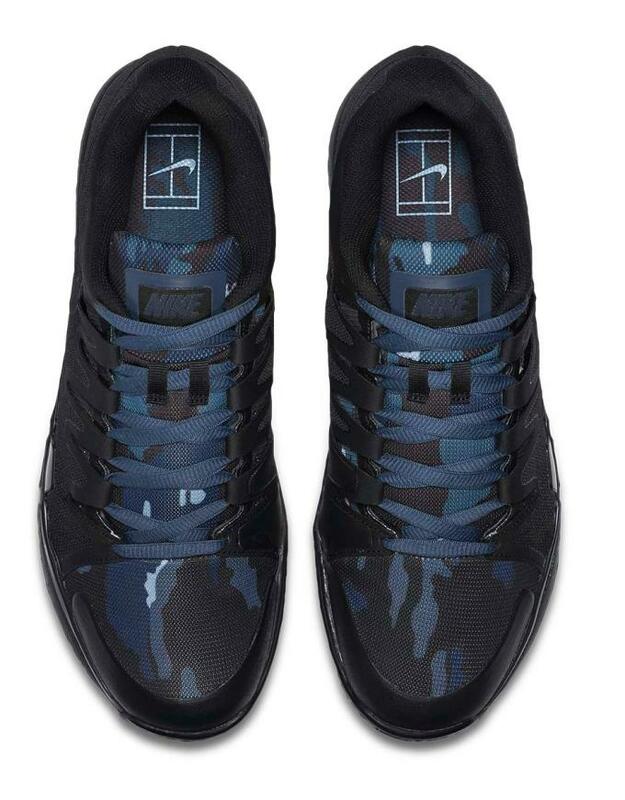 Either way, these are dope, and it&apos;s good to see that the brand still has some surprises up its sleeve for the Federer-endorsed sneaker. 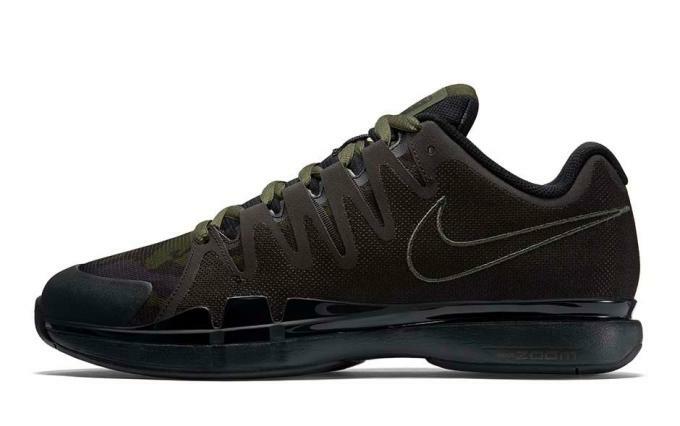 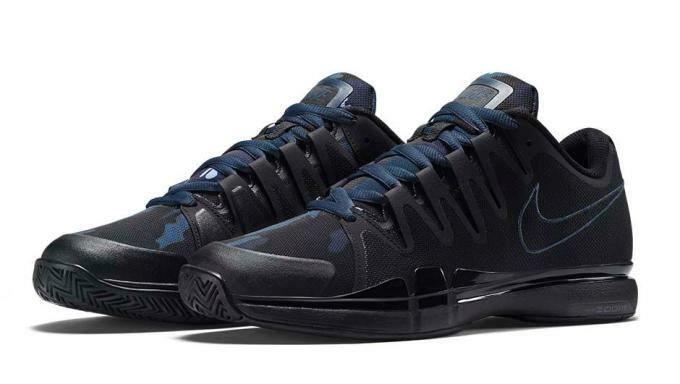 Look out for the NikeCourt Zoom Vapor 9.5 Tour Safari to drop November 11 for $140 in both styles pictured below.